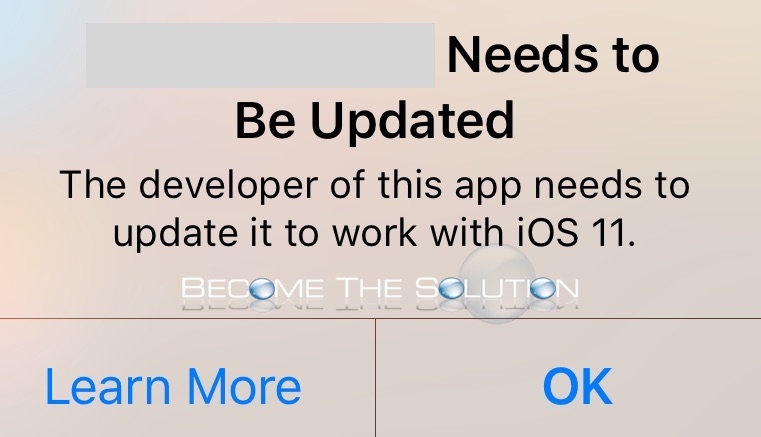 Did you just receive a message prompt on your iPhone or iPad that the current app you are in will not work on future iOS versions? Basically, the next release of iOS will introduce new updates that will prevent the app from functioning. The developer of this app needs to update it to work with iOS 11. It has been confirmed that Apple will no longer support 32-bit apps on the next big release of iOS which is slated to be iOS 11. If your clicked Learn More apple suggests the following. *Check the App Store for an updated version of the app. Depending on the app developer, you might need to download a different app, or purchase an upgrade to a later version of the app. *Contact the developer or check their website for more information. To contact the app developer, visit the App Store and search for the App. The publisher and or developer information will appear under the App description.